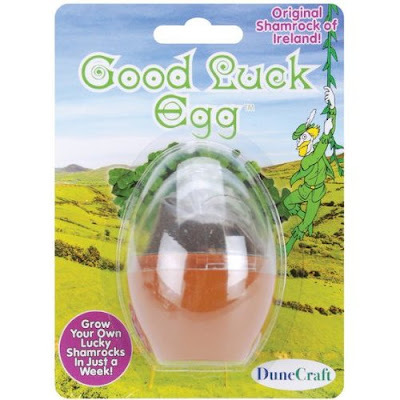 Check out Dunecraft.com for adorable terrarium and plant related kits, geared towards kids but I want all of them! The Irish "lucky clover" micro terrarium is great! But I'm fairly sure I absoluteley need the "Witches' Wood" kit ASAP: "Grow legendary witches' plants with this new, enchanting terrarium! This mystical garden contains plants used to make flying potions, ward off the Evil Eye, attract money, and help to see the future. Witches' Woods also contains plants used in love charms, healing rituals, hex-breaking, and much more! This kit comes with everything needed to create your own bewitching garden, including five color seed packs, witches' stakes, decals, glow in the dark bugs, a planting terrarium, lava rock, a giant spider and more!" Check out dunecraft.com website here! Great find. I love the Banana Farm on your windowsill.